While debate continues on a precise definition of liveability, the idea has manufactured industry standards in empirical urban rankings based on an ever-growing number of data points. It seems timely to ask whether liveability, in its current state, tells us enough about the quality of cities as places to live. Liveability indices are generally produced for specific purposes. These may include quantifying lifestyle or economic factors, or informing global companies in their decisions about staff recruitment. Naturally, the purpose of an index frames how liveability is defined and measured. Most indices rely on hard data (such as demographic information), while some seek to survey people who interact with a city. Still others employ mixed methods. These indices generally result in rankings of cities or neighbourhoods on league tables. It is these rankings, rather than actual liveability assessments, that are chiefly reported. Who in Melbourne, for example, has not heard the tag “world’s most liveable city” without knowing in full what this actually means ? Or perhaps questioned how such a declaration came to pass ? While Melbourne has consistently ranked well in The Economist Intelligence Unit’s Liveability Index, it hasn’t figured as well on other measures. Differences across liveability rankings further confirm that liveability is a contested and subjective notion. This reaffirms the need for urban rankings to look deeper. If cities are about people, as contemporary literature increasingly suggests, the rationalist turn in liveability is insufficient and possibly flawed. Attempts to distil cities into dashboards and a measurable set of physical indicators may be admirably ambitious, but they inevitably miss what is perhaps the most important element of humans’ interactions with places: perception and attachment. To understand cities better, we need to know how people use them, identify with them and emotionally connect to them. This is where lovability comes in. Lovability, the subject of research led by Deakin University, responds to the idea that there are elements of cities that can’t be measured quantitatively. It connects with discourses of place (such as Edward Relph’s idea of placeness ) to look at the softer, more intangible qualities that define how people experience cities and neighbourhoods. The power of lovability is in re-engaging with people to understand the nuances of their interaction with places. Lovability is a powerful concept that, fused with other data, can cut through numbers to provide more direct, relevant information that could guide urban planning and policymaking by identifying a city’s assets through the eyes of its people. It also forgoes the increasing focus on urban competitiveness that liveability has encouraged in favour of richer and more meaningful qualitative data. The potential of this idea was first identified by the Committee for Melbourne’s Future Focus Group . This group of emerging business leaders worked with us on the 2015 Melbourne Lovability Index . As discussed in a recent Deakin University Tram Talk , this index emphasised the importance of the “vibe” of a place - its character, diversity, uniqueness and connection with people. Above all, it reiterated the fact that connections to place are subjective and worthy of further analysis. 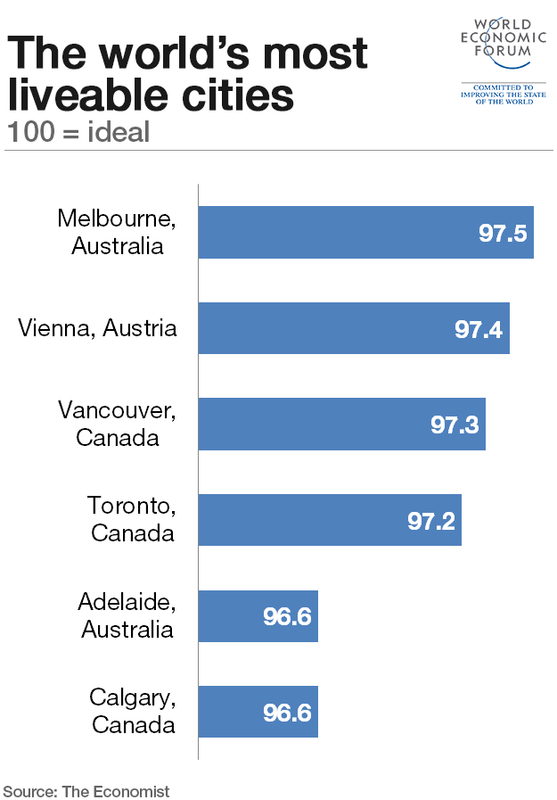 The limitations of broad liveability indices are prompting more fine-grained approaches exemplified by Liveable Melbourne and Liveable Sydney suburban rankings. Yet even these approaches are clearly not enough to account fully for people’s lived experiences. This is where Lovability fills the gap and provides a new perspective. The great question facing lovability, as with any idea based on engaging with views, sentiments and cities, is how to distil vast amounts of data into information that is comprehensive, useful and reliable. Social media, in particular, present new opportunities and challenges for developing the nuanced understanding of cities and places that lovability opens up. To address these issues, we are working with Huddle Labs and Deakin’s Centre for Pattern Recognition and Data Analysis ( PRaDA ) on innovative methodologies that draw on qualitative techniques to tap these vast and constant sources of sentiment. These can also be used for government and industry purposes, as well as the general public. Lovability is not intended to replace liveability, but it can illuminate liveability’s human face. It does this by exploring and defining the elements that form fundamental links between people and particular places. Fused with other data, this presents a world of new opportunities for policymaking, planning and city ranking. The 2015 Melbourne Lovability Index Industry Report is available upon request .